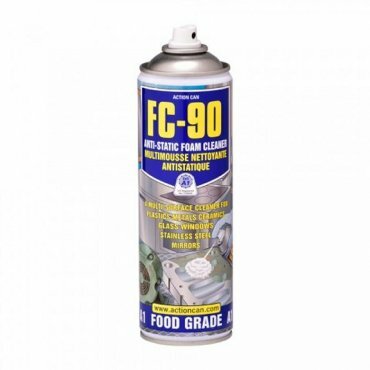 FC-90 anti-static foam cleaner is ideal for surfaces around the home, office and industrial work places that attracts dust. FC-90 is formulated with effective anti static properties to remove static charges and reduce the build up of dust. This cleaner is an active cleaner for removing oil, grease, general soiling, dust and other contaminants from hard surfaces. The product foams upon contact with the surface to be cleaned thus providing penetration of the contamination. This multi-surface cleaner is safe to use on metal, stainless steel, gloss painted surfaces, glass, plastic and other hard surfaces. 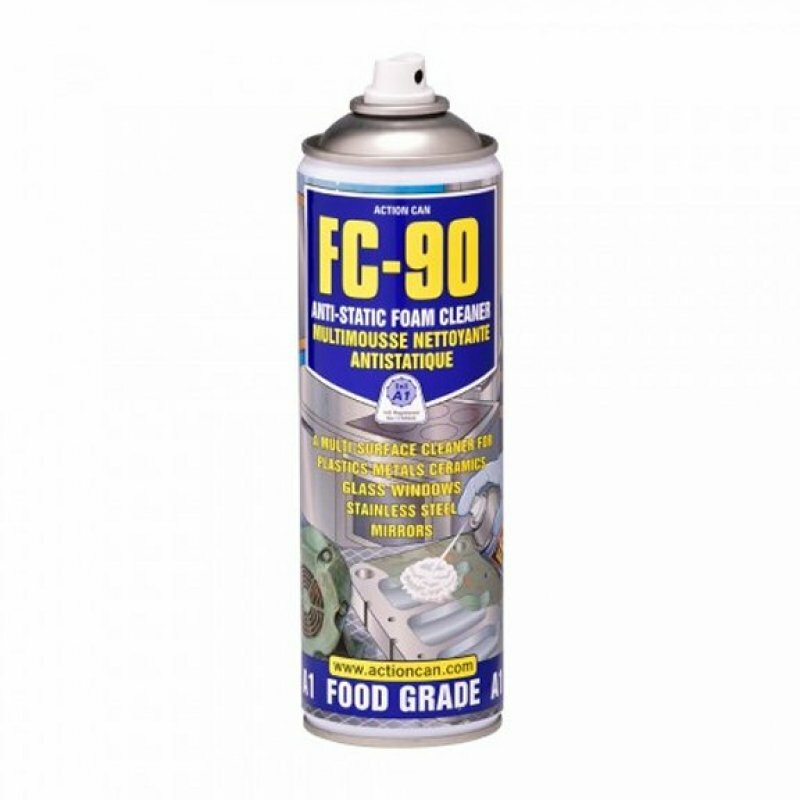 Use FC-90 for the removal of oil, grease and dried on dirt from most types of industrial equipment and machinery. Always wear gloves and eye protection when using this product. Safe to use a general cleaning product on surfaces in food processing areas.